Vendor Registration Now Open ! 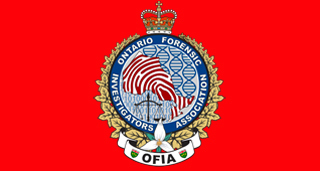 On behalf of the Organizing Committee of the joint Ontario Forensic Investigators Association / Toronto Police FIS Educational Conference, I would like to take this opportunity to invite you to participate as an exhibitor at our 2019 Annual Training Conference. This conference will be held at the Grand Hotel, 225 Jarvis St., Toronto, Ontario. The conference will run from Tuesday May 28th to Friday May 31st 2019, with exhibitor displays on Wednesday May 29th and Thursday May 30th. Exhibitor set up is on Tuesday May 28th from 5:00pm until 7:00pm. Exhibitor’s displays will run from 9:00am until 5:00pm on Wednesday and from 9:00am until after the afternoon break on Thursday. During the course of these two days, the scheduled coffee breaks will be served inside the exhibitor’s hall to facilitate and encourage as much exposure as possible. This will be an excellent opportunity for your company to demonstrate interest and support in all areas of forensic investigation, including cybercrime and forensic video analysis. Your company can showcase products and services to law enforcement officers and forensic specialists from across tario, Canada and beyond. $800.00 + HST (Cdn) per Display Space in the Exhibitor Hall. Each Display Space will include a draped table, 2 chairs and electrical power if required (extension cords are your responsibility). Multiple display spaces can be purchased. An upgrade to a full page ad in the syllabus is available for an additional fee. Any products donated to the conference will be used as door prizes and/or for delegate gift bags. Payment can be made by cheque or credit card to Toronto Police. Once your registration form is received, we will verify your preference and contact you with mailing address for the cheque or instructions for credit card payments. As space is limited, we encourage you to register early. All booths are assigned on a first come first served basis and space will not be confirmed until the Registration form and full payment is received. For further information please contact Brad Joice at vendors@ofia.ca or (905) 830-0303 Ext 7800.